The importance of customer feedback shouldn’t be underestimated. No company would be where they are today without their customers. They are essential for any business to succeed. It gives you valuable insight into how your customers are feeling about products or services that are being provided, which in turn will give you the best opportunity to manage and improve your business. Social media platforms give you a great opportunity to show off how amazing your customer service is and how much you value your customers. Don’t be afraid of people complaining about you on social media, and certainly don’t hide. Just be proactive in monitoring any comments that come your way. Some customer feedback might work in your favour. For example, if someone comments about how expensive or overpriced your product is, chances are they won’t be the only person who’s thinking that way. Take the opportunity to address their comment. Help them and others understand why your product or service is more expensive, and why it’s worth every penny. If potential customers see that you are quick to address and fix any problems, they’re going to feel much more comfortable buying from you. A lot of social networks now also have polling tools built in which is a great customer feedback tool, it’s also very resourceful if you’re unsure how to ask for feedback from customers. It gives you a perfect opportunity to ask for direct feedback regarding specific products or services that you offer and gives you a good insight into your customers’ mindset. Keep track of how you’re doing from a customers point of view, by sending out regular customer satisfaction surveys. You could do this via email marketing, phone or post and offer your customers an incentive to fill them in (for example vouchers, discount codes or free delivery). Feedback is a result, good or bad. Don’t be disheartened if you get negative feedback, the whole point of a customer satisfaction survey is to find out how you can improve your customer’s experience. To get the most out of your survey ask open questions, that way any feedback you receive will be much more valuable. Asking your customers how you’re doing, shows you care and value their opinions. It’s also the key to building strong relationships with them, and could potentially create those all-important brand ambassadors, who will spread the word about your company and their positive experience with you. It’s also much more beneficial for you to receive any customer feedback. That way you’ll be the first in the know, and have an opportunity to make it right, before any negative reviews reach other potential customers. Check in with your customers once in a while with a quick phone call. Thanking them for choosing you and using your product gives your service a personal touch. While you’re on the phone you could ask them some questions about their experience so far with your business and how they’ve found your product or service. Asking for customers opinions regularly can really improve customer retention. Check-in calls could also present the perfect opportunity to win a customer or client back, and build an even stronger relationship with them. Rather than waiting in a phone queue for half an hour, more and more companies now have live chat available for their customers. It’s the fastest way to respond to customer feedback and address any problems or questions they may have. This fantastic tool will leave your customers with a positive lasting impression of you. Live chat isn’t only useful for existing customers, but it’s also a great way to convert people. Speed is everything in business. People want answers fast, and they want their products faster. If you can’t deliver, they’re going to go straight to your competitors. That’s why live chat is such a beneficial customer feedback tool because it allows you to give those potential or existing customers the answers they’re after straightway. Live chat is the fastest and most effective way to increase leads, but you have to be quick! If you are a smaller startup with limited manpower, don’t panic, you can customise your responses with a chatbot. They are a really great alternative to keep your customers engaged when you are not available. Chatbots used to be terrible with really generic, unhelpful, automated responses. However the chatbots we see today are much more advanced, and there are some really impressive options available to us. If you’re a very new startup who has just launched a product or service, automated emails can be a fantastic way to find out how you’re doing. Unlike social media and rating tools like trust pilot, email gets you away from the public eye and gives you a bit of wiggle room to straighten out any imperfections when you first launch. As soon as people purchase your product you have a great opportunity to send out an automated email where you can you ask them about their experience and how they think you’re doing. It’s a more personal approach to finding out how you’re doing, and it’s a great way to build relationships with customers. 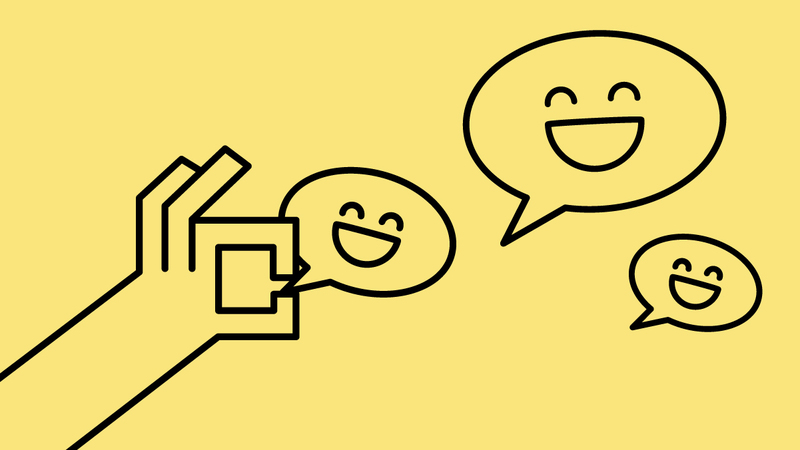 While asking your customers for feedback is a great way to create a positive brand experience there are also ways of getting feedback without asking your customers. Using analytics is a great way of finding out what customers are trying to tell you, without telling you. It can be a really effective way of painting a picture that demonstrates how customers are using your website. For example, if your landing page has a low average page time and a high bounce rate, maybe you’re not communicating your idea clearly enough. On the other hand, maybe you have converted your customer and they’ve got all the way to the checkout but abandoned their shopping basket. This could indicate that your online shopping process could maybe be too long-winded or too complicated. Doing your research and asking customers what they think of your business is all a bit pointless if you don’t know what to do with customer feedback. The trick is to monitor what your customers are talking about and to look for reoccurring themes. If more than one customer is bringing up the same thing, then it might be worth acting on or looking into it further. If you want to stay on top of your game and one step ahead of competitors, constantly listen to the voice of your customer, experiment with different customer feedback tools and find the right ones for your business.